'Arctic Ozone Levels' shown by NASA have become worse and Ultraviolent rays are penetrating the area. Researchers are stunned that the Arctic north has the same conditions as the Antarctica ozone hole, which is known by the massive size. The altitude of the Arctic ozone depletion was only 11 – 12 miles, which is quite low, lasting through late March. Ozone depletion variations are sometimes due to the winter months on both sides of the planet, but they both appear to be growing larger in size yearly. The cause of the holes is being hotly debated ranging from man-made global warming to natural forces of the planet going through its natural cycles. 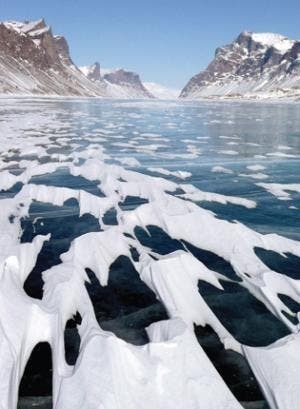 This image shows a lake on remote Baffin Island off Canada's northern coast that has yielded remarkable insights into how the Arctic climate has changed dramatically over 50 years. 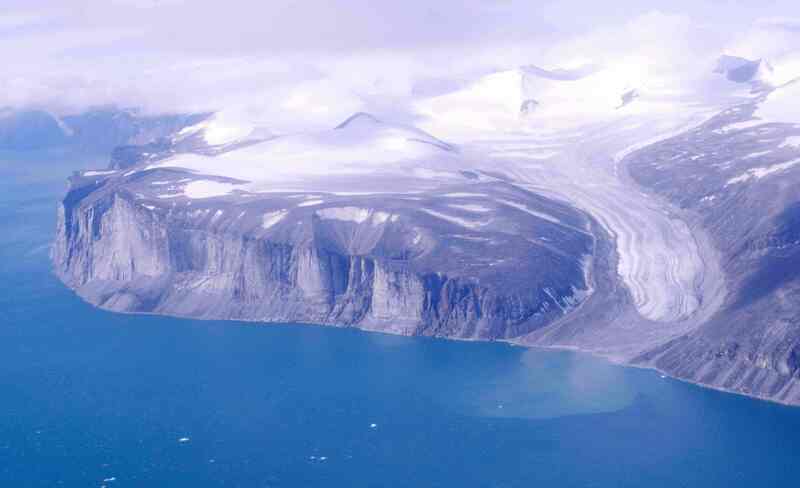 Muddy sediment from the bottom of the lake, some of it 200,000 years old, shows that Baffin Island, one of the most inhospitable places on Earth, has undergone an unprecedented warming over the past half-century. Scientists believe the temperature rise is probably due to human-induced warming. It has more than offset a natural cooling trend which began 8,000 years ago.